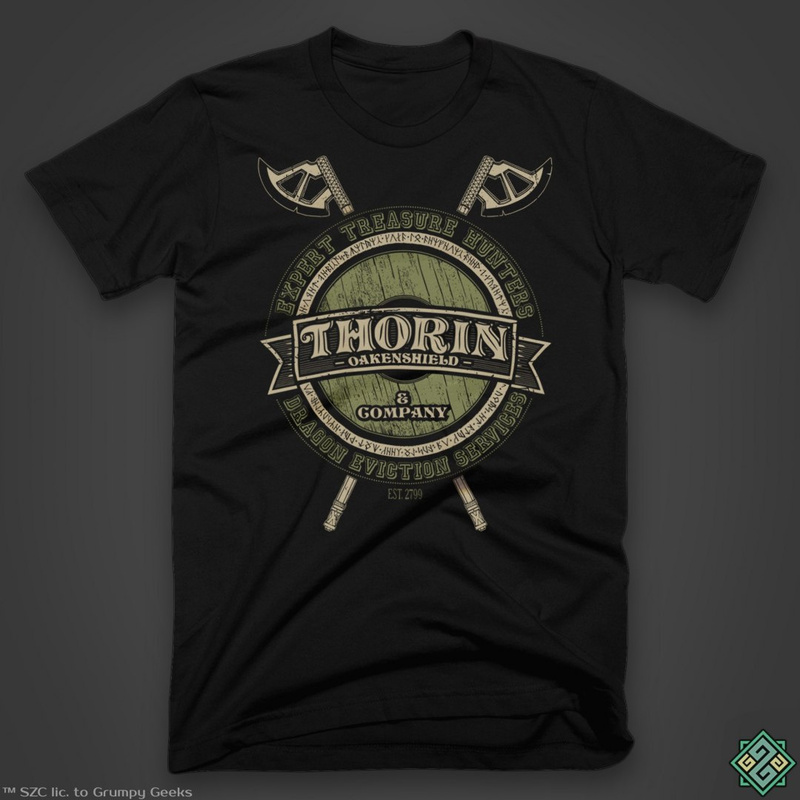 The Lord of the Rings t-shirt, inspired by the works of J.R.R. Tolkien, officially licensed by Middle-earth Enterprises. 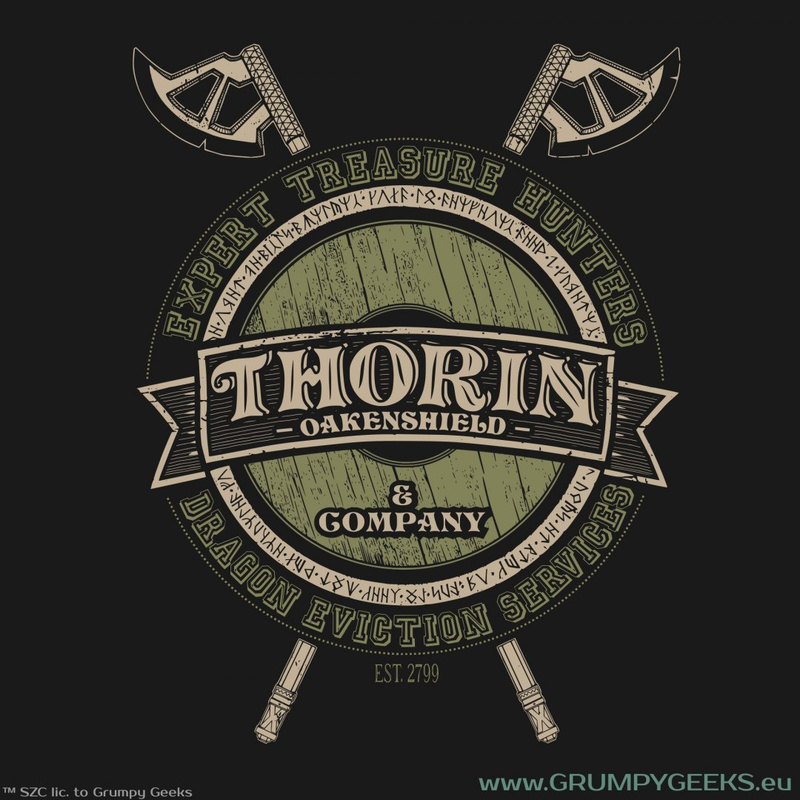 This design refers to Thorin Oakenshield and his Company as being the best treasure and dragon hunters in the land. The artwork has the appearance of a vintage style logo - the Company was established in 2799, the year the Battle of Azanulbizar took place.